Did some programming for Bad Bunny and Dingo Cool. I haven't seen Dingo Cool yet, but I've seen Bad Bunny. One question some people ask me is why I play my own games when I created them. It's surprising how many people assume I invented some secret cheat that allows me to beat all of my games instantly, or that I'm so good at my own games that I'll never get killed by anything. Well, I did about 20 minutes work today ("work") and I found out how bad I was at Chapter 3. It took me two days to beat Chapter 2 for the first time, so I died a few times while trying to play the game. Exister, Your Room- In this chapter, Exister seems to appear a hell of a lot more times than I would expect. One time I underestimated how fast he was going to react, and I got killed. Vehicle Dummy, Your Room- I made a simple mistake: flat out forgetting a character existed and was a threat to finishing the chapter. Vehicle Dummy pretty much appeared when I least expected her to. There are probably two other contributing factors: I haven't recorded the sound cue for VD's driving (so I have no idea what's going on) and I had my laptop on mute so I had no idea what was going on. Bad Bunny and Exister, Your Room- Now, even though I nearly died to a new character, this was an unintentional death. Bad Bunny literally appeared out of nowhere, but his attack looped because I forgot to switch the scene. Since while a jumpscare animation prevents you from moving, I assumed I was going to have to wait for APPARITION to kill me. Nope. When his timer got to 25 seconds, Exister forced me to turn around and attacked while Bad Bunny was too busy figuring out how to stop teleporting back to the door. This has happened a few times, where two characters attack simultaneously (even if they are both programmed properly). A common one I find is when Shyyon begins to attack but then Jawlock decides to steal the kill halfway through Shyyon's animation. This is likely because they commonly appear in the same room together (and they both follow the exact same path). Dingo Cool and Exister, Your Room- I had another go at the game to see whether me only seeing Bad Bunny was a glitch or just chance. I checked. It was just chance. I purposefully tried to get Dingo Cool to kill me by waiting with him in the South Room until he moved into Your Room. He moved, so did I, but when he did, it showed the north view of Your Room without any animation. No one appeared at the north, but the compass pointed south (because that's where Dingo would be attacking from), so he would've been attacking from behind. I was going to wait for someone to kill me (because I hadn't programmed Bunny or Dingo to switch scenes upon attacking) and then Exister decided to kill me again. 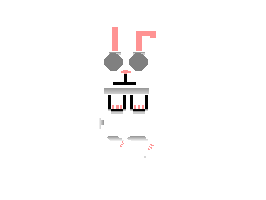 Bad Bunny, APPARITION and Nursina, Your Room- Bad Bunny attacked, but I still haven't programmed them to switch the scene. I waited for APPARITION's timer to count down, but it simply hit zero and then went back to thirty (which is because he can only attack if no one else is already). I waited for someone to come and attack, and Nursina came to my "rescue". It took her about a full second to start her attack animation, but she killed me to save me from an endless loop of Bad Bunny stomping his foot and snarling at me. Chapter 3 gameplay is finished and I managed to beat it today (with difficulty). I haven't got the voice acting clips or sound cues for several characters in Chapters 2 and 3, because they're busy and I'm busy and I don't want to keep bothering them with requests for their voice recordings. Shyyon (Cody Montgomerie)- I have contacted him, and he says he will be able to send them to me by Saturday at the latest. Alice Campbell (Claudia Boutet)- I have sent messages to her, but I have not heard back yet. Dingo Cool (Jai Pattinson)- I don't remember whether I messaged him or not. Bad Bunny (Geoffrey Herbert)- I will see him tomorrow afternoon. Mary Cole (Claudia Boutet)- I have sent messages to her, but I have not heard back yet. I still need to do some audio cues for some characters. I have recorded a squeaking noise for Shyyon, but I still need to make a recording of a car driving for Vehicle Dummy. DC, BB and Cinder don't make any noise at the moment. I found an old list I had made with all of the planned character mechanics for Pixeltail. I had done everyone from the first two games, and everyone from the third with the exception of Auto and Abe. I finished the list so now I have final character mechanics for all 52 enemies. It was only the other day I realised something. If one was to somehow get all 52 enemies in the one place, would the level even be possible? I’m sure some of you have played one of the first four games. Some of those levels were quite small. Then again, there were a lot of walls in some levels, and I think only a few can go through those walls. 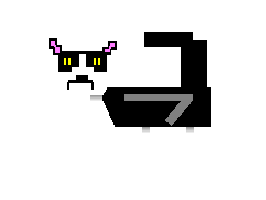 Anyway, I’m thinking of re-posting the list of Pixeltail enemy mechanics. While I can’t work on games, I might reveal my ideas for character mechanics just to show you how ridiculous the game could get with everyone all together. Since 38 out of 52 characters you’ve seen before, I won’t be revealing new faces in PT5 until I actually work on them. I’ll start with Poppytail, Easter Bunny and Gremlin Girl (as they were already on the original list), and then one or two random characters every day. That way there’s some sort of news instead of this thread being silent until I figure out how to fix Windows. Poppytail (Voiced by Nick Hackett)- Will move in the same direction as the player vertically and the opposite horizontally whether the player is holding down a key or has released it. Easter Bunny (Voiced by Lachlan Brooks)- Will walk when the player runs as well as vice-versa. 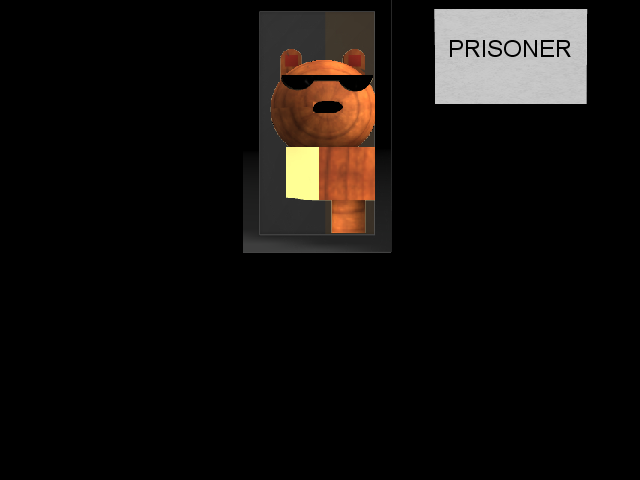 He will move in the same direction horizontally as the player but the opposite vertically when the player is holding down a key or has released it. 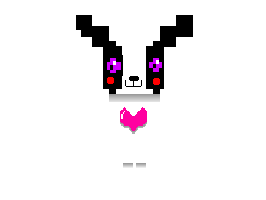 Gremlin Girl (Voiced by Josie Fletcher)- Will move one direction anticlockwise to the one the player is moving in when the player is holding down a key or has released it.. Like her appearance from the first game, she has no collisions when she walks upwards. 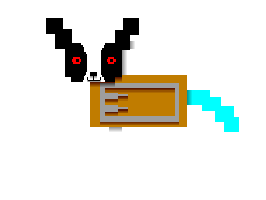 Lizard Hunter (Voiced by Nick Hackett)- He will move in the same direction horizontally as the player but the opposite vertically whenever the player holds down or releases a key. 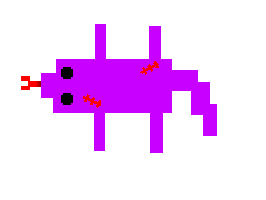 Even though he acts in the same movement pattern as Easter Bunny, Lizard Hunter will move at the same speed as the player. Mousetrap (Voiced by Nick Hackett)- She will move around randomly on her own, leaving small mousetraps around the level. Stepping in one will summon her to kill you. While these may be an obstacle, most other enemies can be stunned temporarily if they stand on one. Wicked Poppytail (Voiced by Nick Hackett)- He moves on his own. If you are below or above him, he will try and follow you. However, he will move away from you horizontally. Although this may make it more difficult for him to attack, he is much faster than his original counterpart. 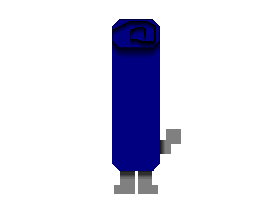 Towelwich- He can tell whether you are to his left or right, and will move towards you horizontally. However, he will never move vertically until you hold down or release the up or down keys. 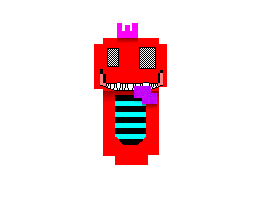 GamePrint (Voiced by Nick Hackett)- He will stay in one place, but unlike other enemies, will not kill you on impact. Instead, he has another method of attacking. He will instead shoot game packets at you. He can only fire up, down, left or right. If he hits you with a game packet, he will kill you. Snarly Dog (Voiced by Stella Fitzgerald)- Whenever the player presses or releases a key, she will move in the same direction. However, she is much faster than most characters, including the player. 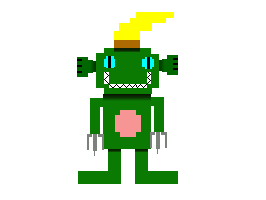 Nykolas (Voiced by Nick Hackett)- He will move in the same direction as the player whenever they press or release a key, however he moves slower than the player. This will change if he comes into contact with either Pink Poppy, Batwingz, Towelwich or Vulcangoat. This will increase his speed to five times that of the player’s running speed! Wicked Snarly Dog (Voiced by Stella Fitzgerald)- She will constantly chase you around the level without stopping. She is five times your walking speed, so Alice is the only way you can defend yourself from her. 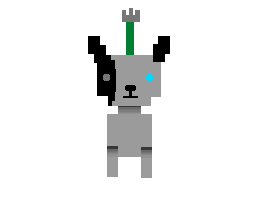 Enderguy (Voiced by Nick Hackett)- He will chase the player down, like Wicked Snarly Dog. He is much slower, but still faster than the player. However, Enderguy will need to take a break every once in a while, where he will stay in the one place for a short period of time. 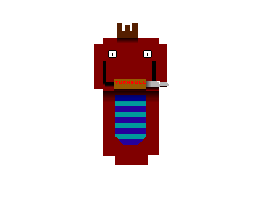 Cheesestick (Voiced by Cody Montgomerie)- Cheesestick behaves nearly exactly like Enderguy. The only difference is he can’t be stunned by Mousetrap’s mousetraps, so he is slightly more of a challenge to get away from. 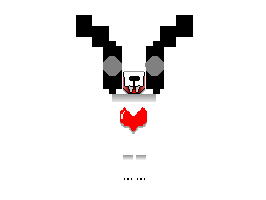 Liz-Liz (Voiced by Nick Hackett)- Liz-Liz also follows the player around, but will never take a break like some other characters. However, he will only move either horizontally or vertically at any time, never moving via both the x and y axes at the same time. 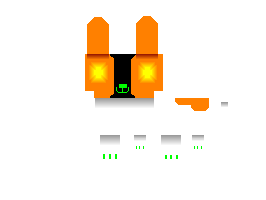 Eclipse (Voiced by Jack Herbert)- He will move small crescent moons around the level. Stepping on one will increase the rate of oxygen decrease by 10%. If your oxygen reaches 0%, he will attack. 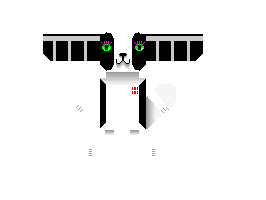 Beachtime Poppytail (Voiced by Nick Hackett)- Every few seconds, he will move in a random direction at a random speed. 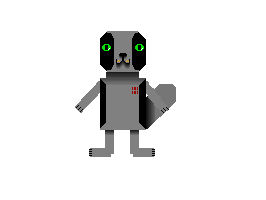 Nightmykolas (NEW) (Voiced by Nick Hackett)- He moves towards the mouse at a random speed. 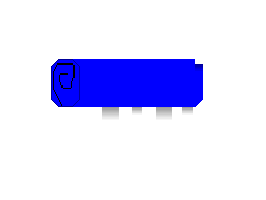 He will be invisible, but his opacity will increase if your mouse is over him. Once his opacity has increased, it will never go back down again. He can only attack once he reaches 100% opacity. If his opacity is less than 75%, he has no collisions. If it is 75% or over, his opacity can also increase from collisions with Alice. He cannot be stunned by mousetraps. 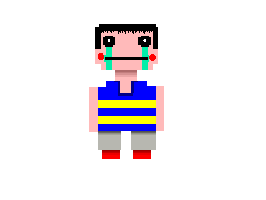 Joey Turnbull (Voiced by Lachlan Brooks)- Once you see him, he will become transparent or ghostly, making him difficult to see. However, once you see him, your screen will turn completely black (including HUDs) briefly. Once this happens, he won’t stop until you either die or finish the chapter. For movement, he will alternate from moving towards you to moving in random directions. 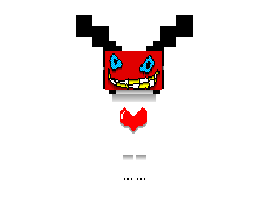 He can still kill you via collisions. He cannot be stunned by mousetraps. 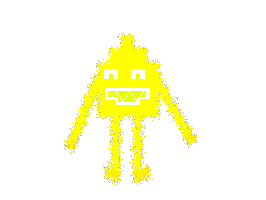 Mr Battery (Voiced by Ryan Collins)- If a room has an electrical hazard, he will make the electricity rate skyrocket, killing you if the electricity meter reaches 100%. 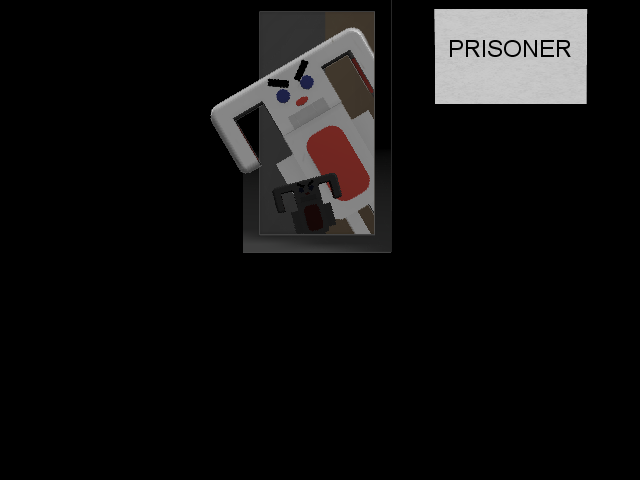 Unlike his appearance in Poppytail 3, he now also has the ability to kill you upon impact. Since he can't move, you may think he won't be much of a risk if there is no electricity hazard. However, if you are standing still, he has the ability to draw you towards him like a magnet. 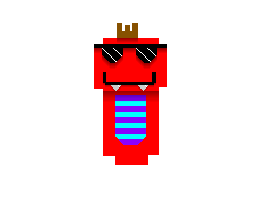 Auto (Voiced by Nick Hackett)- He will always follow you around, however he is slower than you. while he cannot collide with you, if your x and y-positions match his, he will attack! 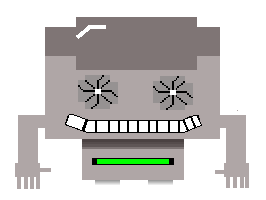 Abe (Voiced by Nick Hackett)- He will always follow you around, however he is slower than you. while he cannot collide with you, if your x and y-positions match his, he will attack! Wicked Gremlin Girl (Voiced by Josie Fletcher)- If you are below her, she will move right. If you are above her, she will move left. If you are to her right, she will move upwards. If you are to her left, she will move downwards. Her movements are meant to confuse the player, especially if the player is forced to think on their feet. She is five times faster than Gremlin Girl. Wicked Pink Poppy (NEW) (Voiced by Nick Hackett)- He will charge at you at a fast speed, never stopping. The only way to get him to go back to his starting position in the level is by using your keyboard. 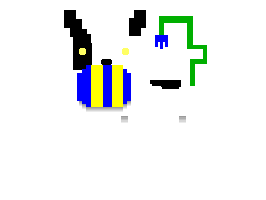 If you type "ULF", large letters will appear on screen. Upon pressing the F key, he will go away. 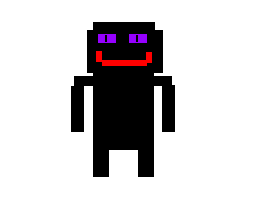 Smiler (Voiced by Stella Fitzgerald)- Will follow you around like many other characters, but if she hits a wall, she will move rapidly in random directions until she is no longer touching a wall. 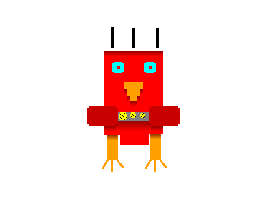 Hybrid Chicken (Voiced by multiple)- Whenever you release a key, he will move in a random direction. However, if he appears on screen, he will do one of three things: slowly making the screen darker until you can’t see anything, applying a disorienting ripple filter, or applying the bloom shader. These shaders will be disabled if he is not on screen. He can kill you on contact. He cannot be stunned by mousetraps. Mama Tyranno- She will wander around, minding her own business. One thing that annoyed her in Poppytail 2 was getting anywhere near Mousetrap, but instead she is now angered if she sees you running. If she sees you running, she will attack. Papa Tyranno- He will wander around, not killing you on contact (unlike Mama Tyranno), but there’s now one thing that angers him more than you going near Lulu or Eclipse: walking. When you see him, don’t walk, otherwise he will attack! 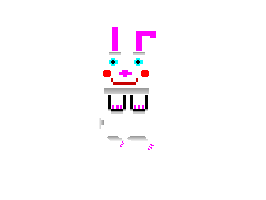 Bun-Bun (Voiced by Lachlan Brooks)- He will move towards the player on the x-axis, but in the opposite direction on the y-axis. While it may be difficult to concentrate on him while other characters do whatever, he will also leave eggs around the level. Touching one or getting too close to Bun-Bun will mean you get attacked! Like Smiler, he will move rapidly in random directions in order to stop touching walls. 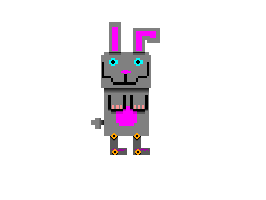 Wicked Easter Bunny (Voiced by Lachlan Brooks)- He has the same mechanic as Bun-Bun, moving towards you on the x-axis and away from you on the y-axis. 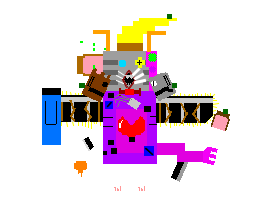 He is a bit faster than Bun-Bun, however, and does not go crazy when he hits a wall. He also does not leave eggs around the level, but he cannot be stunned by mousetraps. Wicked Batwingz (NEW) (Voiced by Nick Hackett)- He has the simplest mechanic out of every character in the game. He will stand in one place, turning around to watch the player wherever they are. He will never move from this place, and will kill you on contact. Batwingz- She will move in one direction anticlockwise from whatever key the player is holding or has released. Vulcangoat- She can tell whether you are above or below her, and she will move towards you vertically. However, she will never move horizontally until you hold down or release the left or right keys. 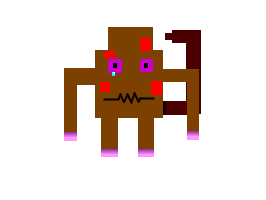 Lulu- He will move around, leaving bows as traps around the level. Stepping on one will alert him, and he will kill you. Other enemies can push the bows around. 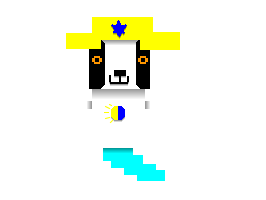 Wicked Towelwich (NEW)- He will follow the player around the level, like several other characters. However, if the Electricity is over 80% or the Oxygen is under 20%, an identical but harmless duplicate will appear alongside him. 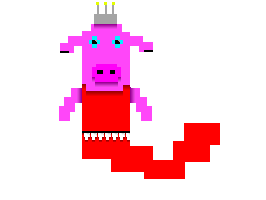 Pork Chop- She will follow you around the level, but she will invert the controls when she appears on screen. If she exits the screen, the controls will return back to normal. 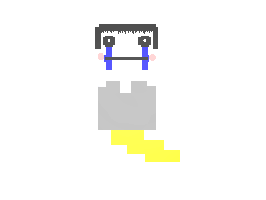 Orangu Tan (Voiced but Nick Hackett)- He will follow the player around, shaking the screen violently if he is on screen. The screen will stop shaking if he leaves the screen.  Wicked Vulcangoat (NEW)- She will move in random directions. If she’s there, on top of the Electricity and Oxygen meters (if applicable), she will add a Magma meter. This will gradually increase, and clicking on her is the only way to make it go down. If the Magma meter reaches 100%, she can kill you on contact. If it is lower, she can’t hurt you. Lizard’s Friend (Voiced by Nick Hackett)- He will move towards the player on the x-axis, but in the opposite direction on the y-axis. Getting too close to him will mean you get attacked! Like Smiler and Bun-Bun, he will move rapidly in random directions in order to stop touching walls. Doughy Duck- She will move rapidly in random directions when the player holds down a key. She gets slower the more times the player dies to anyone. 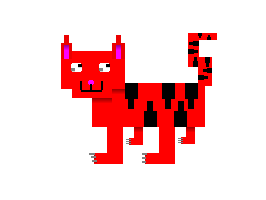 Wicked Nykolas (NEW) (Voiced by Nick Hackett)- He will follow you around, teleporting in your direction every once in a while. He cannot be stopped by Alice. Pink Poppy (Voiced by Nick Hackett)- He will follow you around, like many enemies. 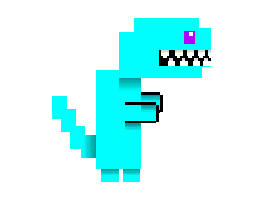 He is slower than the player, but will never stop chasing you. 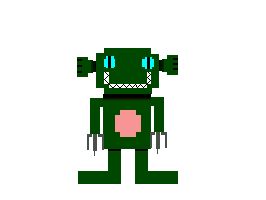 Gremma (Voiced by Josie Fletcher)- Acts like Wicked Gremlin Girl, but she is a bit slower. Like a few other characters, she will move rapidly in random directions to avoid touching walls. Jack O' Lizard Hunter (NEW) (Voiced by Nick Hackett)- He acts just like Lizard Hunter, but with one difference. As time passes, he will become more agitated, and his speed will increase by 0.5 every second. He cannot be slowed back down unless you get killed.  Poppy (Voiced by Nick Hackett)- He acts like Wicked Poppytail, but he is slower and will move in random directions rapidly to get away from a wall.  Masked Snarly (NEW)- She is a super fast clone of Snarly Dog, who has the annoying ability to stun Alice temporarily. 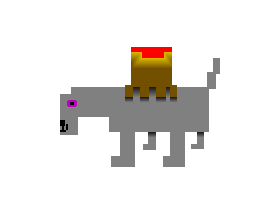 Wicked Lizard Hunter- He acts just like Wicked Easter Bunny, but slightly slower: moving towards you on the x-axis and away from you on the y-axis. Unlike Wicked Easter Bunny, he can be stunned by mousetraps. Phantom (NEW)- He will never move from his starting location until he is activated. For him to “activate”, he must be hit by another enemy. He will then copy that enemy’s behaviour. It will not be announced when this happens, and your only clue as to whose behaviour he has copied is his sprite will flicker to a grayscaled version of that character every few seconds. Once he has copied a behaviour, he cannot copy that character’s behaviour a second time until the scene restarts.  Added Snarly Dog, Nykolas, Wicked Snarly Dog, Enderguy, Cheesestick and Liz-Liz. Added Eclipse, Beachtime Poppytail, Joey Turnbull and Nightmykolas. Added Mr Battery, Auto, Abe, Wicked Gremlin Girl and Wicked Pink Poppy. Added Smiler, Hybrid Chicken, Mama Tyranno and Papa Tyranno. Added Bun-Bun, Wicked Easter Bunny and Wicked Batwingz. Added Batwingz, Vulcangoat, Lulu, and Wicked Towelwich. Added Pork Chop, Orangu Tan and Wicked Vulcangoat. Added Lizard’s Friend, Doughy Duck and Wicked Nykolas. i am curious. How do you find your voice actors? They’re my friends. All of them already knew about the series and a lot of them liked the games. I asked them, they wanted to do it, and then I just sent the voice lines and a brief description of what the character should sound like. Some PT5 characters have very short scripts. Shyyon’s is three words long: “Euh...” and “I’m scared...”. Same with Vehicle Dummy’s, however I will not reveal her’s. Pixeltail characters have slightly longer scripts. Usually about 10-30 words per character. Usually they’ve got lower word counts.